Free Shipping Included! 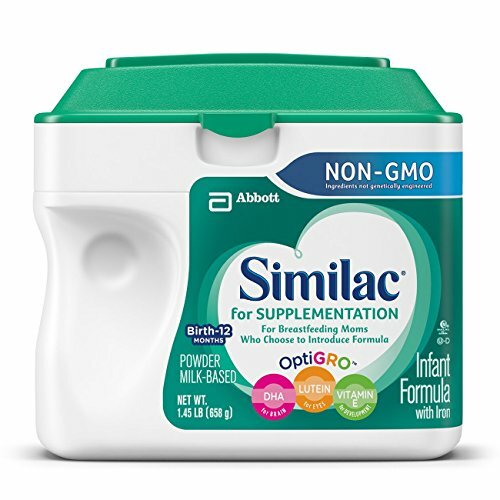 Similac For Supplementation Non-GMO Infant Formula with Iron, Powder, 23.2 Ounces (Pack of 4) by Similac at My Pregnancy Place. MPN: AB-301C. Hurry! Limited time offer. Offer valid only while supplies last. Similac for SupplementationSimilac for Supplementation is the first Similac formula designed for breastfeeding moms who choose to introduce formula. Similac for Supplementation is the first Similac formula designed for breastfeeding moms who choose to introduce formula. This formula has more prebiotics than any other Similac formula, along with the same benefits as Similac Advance, so it provides complete nutrition and a gentle introduction to formula.